Dragon Fruit is a tropical fruit, a fruit of the cactus plant that grows mainly in tropical and subtropical regions in South America and Asia. It is of the cactus family, with high economic value. It is widely distributed from South Florida, the Caribbean, Hawaii, Taiwan, Malaysia, Israel, and Vietnam, according to the University of Florida. 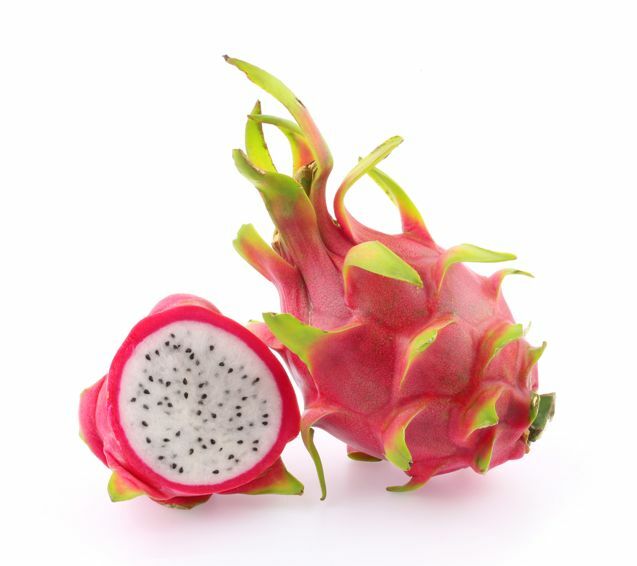 The overall shape resembles a dragon and hence the name Dragon fruit. Here, on this page we will see amazing health benefits of dragon fruit. It is also known as pita-ya, and has a yellow or red peel with green scales on it and has white or pink flesh with many tiny black seeds. There are many stories about this fruit like it was created by fire-breathing dragons and by eating them it was believed that one became empowered with the strength and ferocities of a dragon. Having number of essential nutrients makes it to have potential health benefits of Dragon Fruit, and sometimes because of this, in U.S. it has been compared with main-stream fruits like apples and kale. These tropical mysterious fruits contain around 60 calories each and are rich in vitamin C, B1, B2 and B3, and minerals such as iron, calcium, and phosphorus. Dragon Fruit is rich in vitamin c and therefore, is a good source of antioxidants, which are known to fight off free radicals and are essential for keeping the skin tight and firm. Antioxidants prevent the formation of cancer-causing free radicals. There are the high amount of fiber in dragon fruit which help to regulate diabetes and helps in stabilizing blood sugar levels. It is useful in cardiovascular health. It decreases bad cholesterol levels from the body and is a good source of mono-saturated fats which helps to keep our heart in good condition. Health Benefits of Dragon fruit includes its properties to be used as cosmetic and health material, with functions of improving eyesight and preventing hypertension. Dragon fruit absorbs CO2 at night and releases oxygen to purify the air. The dragon fruit is rich in vitamins, especially vitamin c. Also, have a high fiber content, which can assist with poor digestion and constipation. It is a rich antioxidant which keep the skin tight and young. It also helps to slow down the aging process after the free radicals are reduced. To prevent premature aging, you can apply a dragon fruit facial mask once in a week. Consumed regularly the dragon fruit can help against asthma and cough.